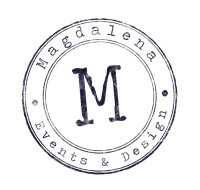 Magdalena Events & Design is a full service event planning & design company in New England, the Berkshires and Hudson Valley that specializes in unique weddings and personal events. Our services include wedding ceremonies and receptions, rehearsal dinners, bridal showers, engagement parties, anniversaries as well as birthday parties, reunions, holiday or cocktail parties for any occasion. Our central location is the Berkshires, but we are happy to travel anywhere. We will plan and design everything for you, so you can enjoy watching your event come to life without all of the stress. Understanding your style, needs and budget is our priority. The team will be with you throughout the entire planning process, from choosing the perfect vendors, securing your dream space, to creating the perfect design and layout for your event. We will deliver your vision precisely, and ensure your event runs smoothly with day of coordination. We will design an event that is distinctly beautiful, modern, trendy, or classic and timeless, and most importantly, naturally you. By staying on top of all the different trends, we will create a fresh design and theme that reflects who you are. Together we will decide on a right color scheme and table decor. Magdalena’s team will transform the venue to reflect your personal style and your story. We are meticulous about creating stunning event so we will work closely with design related vendors to source the best props and decorations (florists, rental companies, calligrapher, lighting designers, etc) to ensure your vision is truly breathtaking. When you enjoy being involved in planning your event and have most of your details set, but need help figuring out missing parts, this is when we come in. We connect all the vendors and create an attack plan. Final touches will happen, and we will ensure that your day goes off stress free with day of coordination. Do you need an eye-catching images to communicate your message or amazing product or brand? We can help you to produce original visions of your story. We understand that styling starts with a story and we will make it happen. Magdalena Events & Design will take care of the prop sourcing, art direction, production details and sourcing of vendors. 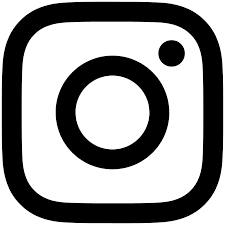 We conceptualize and organize the photo shoot or prop styling in Hudson Valley, Massachusetts, New York, Connecticut, Maine, and Rhode Island.